It was the day before Valentine&apos;s day. Brad took me out for a meal as has a busy day recording the third album tomorrow. &apos;You look beautiful&apos; Brad said putting his hand on yours. &apos;Thank you&apos; you said blushing. Once we finished eating Brad pulled out a gold envelop from his jacket. &apos;It&apos;s an early valentines present&apos; he said. I took the envelop and carefully opened it. In side was a piece of paper. You read the paper and then looked up at Brad. &apos;Omg, are we actually going to Paris?&apos; You shouted. &apos;Yes! We leave tomorrow&apos; he explained. &apos;Thank you so much. But I thought you were recording tomorrow&apos; You said. &apos;Well I had to make something up didn&apos;t I?&apos; He said while laughing. &apos;I love you&apos; you said kissing him. &apos;I love you too&apos;. The next morning you both set off for Paris. When we landed we went straight to our hotel. It was a beautiful light brown colour and the inside was cream themed. When you walked into the room you nearly cried. &apos;I just wanna live here forever&apos; you said jumping onto the bed. Brad jumped on the bed next to you. He then climbed on top of you and started tickling you. &apos;Stop it&apos; you said laughing. &apos;Make me&apos; he replied raising an eyebrow. You and Brad spent the whole week in paris trying out food and visiting different places. On valentines day Brad took you to see the eiffel tower. Once you had finished taking pictures you both went for a romantic meal near by. Brad was such a gentleman before you sat down he pulled out your chair and then tucked you in. &apos;Your so cheesy&apos; You said to him while laughing. &apos; I&apos;m trying to be romantic&apos; He said laughing. While you are your meal you both talked about the old times. When you first met and when you had your first kiss. The trip was perfect. It was Valentine&apos;s day. You arrived home from your long day at work. You and Connor hadn&apos;t planned to do anything this Valentine&apos;s day. You had both spoke about it but agreed not to do anything because everyday should be like Valentine&apos;s day. You walked into the house and the first thing you saw was Connor sat on the sofa with his guitar and a bunch of roses. &apos;Aw Con, we said we wouldn&apos;t do anything&apos; you said. &apos;I know,but I wanted to get you something&apos; he explained while patting the sofa for me to sit down. I sat down next to him. &apos;These are for you. I got your favourites&apos; he said passing me the roses. &apos;Thank you&apos; You said kissing his cheek. &apos;I have something else too&apos; Connor said slowly. &apos;Really?&apos; You said rolling your eyes. Connor picked up his guitar and started to sing. This year you and Tristan were going out for a meal on Valentine&apos;s day. He had booked a table at your favourite restaurant. It was your favourite because this is where he took you on your first date. During the week you and your friends went out to find the perfect dress. &apos;That&apos;s the one&apos; You said running up to the mannequin. &apos;Okay. I think she found the dress&apos; One of your friend&apos;s said while laughing. The dress was perfect. It was a romantic red, tight fitting at the top with a skater skirt. On the evening of Valentine&apos;s day you got changed into your new dress, put on your high heels and applied your make up. Tonight you wanted everything to be perfect! Tristan was coming to pick you up at 6:00pm. Just as you finished applying your blusher you heard a knock at the door. At this moment you started to get really excited. Going to a perfect restaurant, with a perfect outfit and of course with the perfect man. It was going to be perfect. You ran down the stairs and headed for the door. You stood there for a moment and just breathed. One you were prepared you opened the door. Tristan was looking down at the floor. &apos;You took your time didn&apos;t you&apos; He said looking up with a smile. &apos;Damn, you look amazing&apos; He said handing you a single rose. &apos;Thank you&apos; You said blushing. You linked arms with Tristan and got into the car. When you arrived at the restaurant you were seated at a table. This wasn&apos;t just any table. Tristan made sure that we were seated at the same table from your first date with him. &apos;Aw Tristan&apos; You said sitting down. &apos;I had to make sure it was perfect&apos; He replied softly with a grin. It was the day before valentines day. You were so happy that James was going to be coming home soon. He had been on tour for a week in the US. Suddenly you heard your phone ring. &apos;I was just thinking about you&apos; You said with a smile. 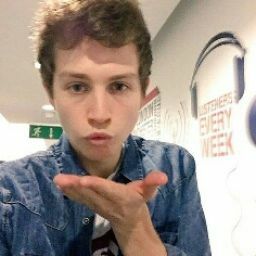 &apos;Your too cute&apos; James replied. &apos;I can&apos;t wait to see you later&apos; You said happily. &apos;Actually I wanted to talk to you about that&apos; He replied. At this moment your heart sank. He paused and then carried on speaking &apos;Me and the boys are staying for another week&apos;. Hearing this made your heart sink even more. &apos;That&apos;s okay&apos; You said, trying not to cry. &apos;I love you&apos; He said, in a funny voice trying to make you smile. &apos;I love you too&apos; You replied laughing. The next day was Valentine&apos;s day. You and your friends arranged to go out. You went out to go shopping in the sales. She planned it to help you forget about James not coming home. &apos;Try this on&apos; You said holding up a bright yellow dress and laughing. &apos;No way. Only if you do&apos; Your friend said laughing. You both decided to get a range of clothes and go into the changing rooms. &apos;What do you think of this&apos; Your friend said walking into your changing room. &apos;Love the skirt and jacket, but not too sure about the top&apos; You explained. &apos;That&apos;s what I was thinking too&apos; She said with a smile. Suddenly the music in the shop changed. &apos;I&apos;ve been up all night no sleep&apos; it sang. You looked at your friend and just burst into tears. &apos; Come here&apos; She said, hugging you. 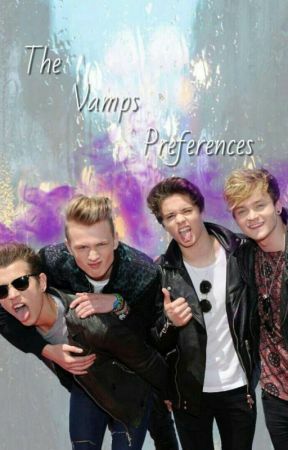 Thought I would write preferences as I haven&apos;t in a long time :). I&apos;m sorry the imagine requests haven&apos;t been done yet but I&apos;ve had lots of college work lately and plus it&apos;s my birthday on Thursday! I will do them but it will just take a bit of time as I have about 4 to do.